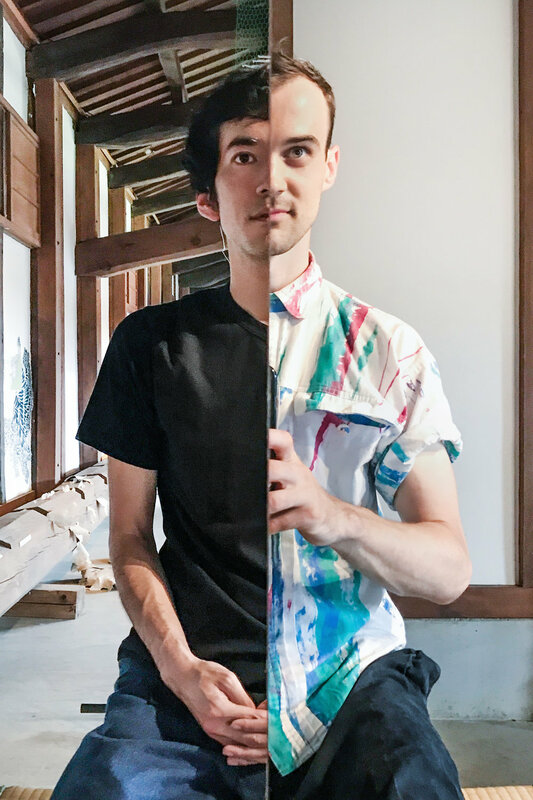 Ichigo Ichie is a participatory performance exploring collaboration through a multimedia installation inspired by Cha-No-Yu, Zen meditation, and the concept of Wabi Sabi. The term "Ichigo Ichie" is an expression that translates to "One life, One meeting". It encapsulates Zen ideas of presence and cherishing encounters as if they would never occur again. 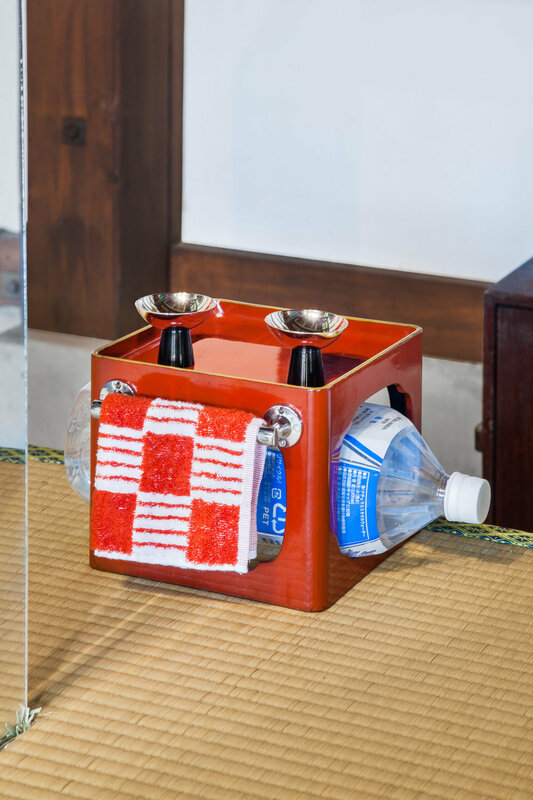 The physical components of the installation combine both everyday and found materials which take on forms that allude to Japanese structures commonly found in tea gardens and temple grounds. Included are items such as a pagoda, a lantern, a shrine, stepping stones, a torii, and a tokonoma featuring a scroll and simple flower arrangement which are all pictured above and below in detail. In the performance, two participants are invited to enter the ritual space via stepping stones and sit on opposite ends of an elevated tatami mat. Participants serve mountain spring water to each other in ceremonial cups made of chrome that shows the mirror image of both participants together when looked into. The act of serving each other creates a scenario in which the participants fulfill both host and guest responsibilities. 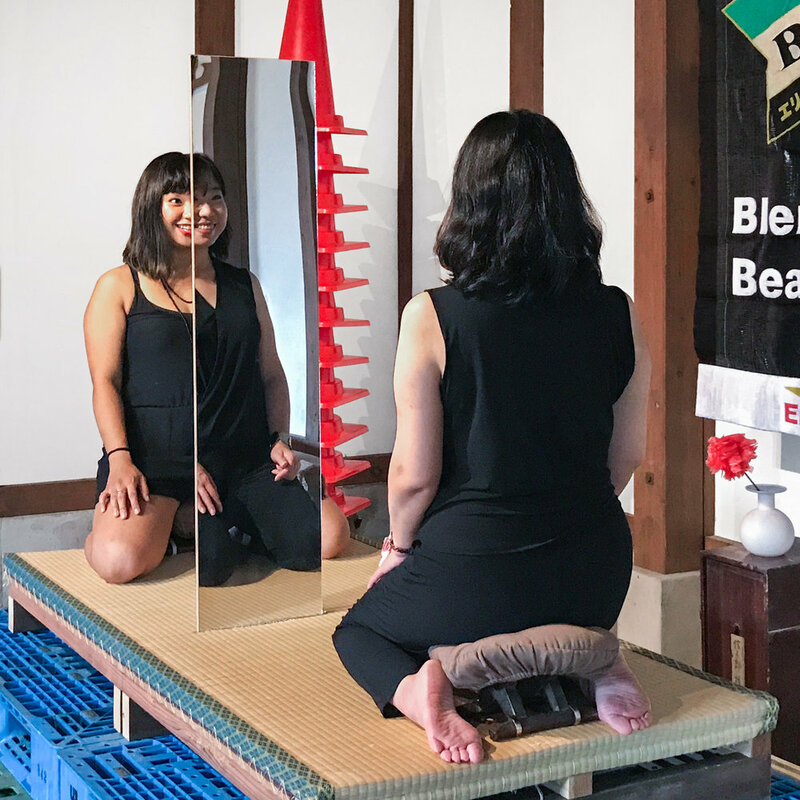 After drinking the water, participants combine their images by means of a mirror that extends vertically from the middle of the tatami mat. In this way, participants collaborate to create a single image that allows them see eye-to-eye literally and symbolically. Their combined image creates a ethereal circumstance of unity that relies on both participants to sustain it. Through this action guests are encouraged to meditate on the oneness of duality. 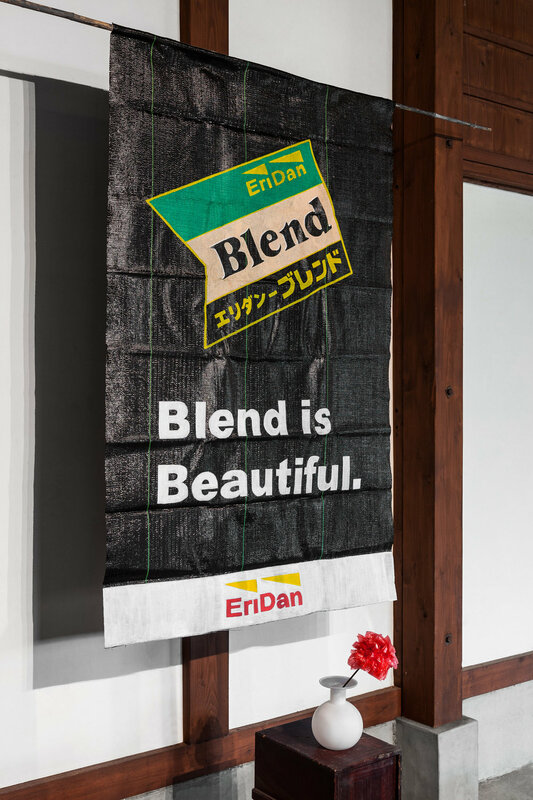 This action was also a strategy to extend the idea of collaboration beyond Eridan and share the art-making process with their audience. Shown below are various participants performing the ritual as well as visual and written instructional materials provided to guests. As a way to further the conversation of collaboration, Eridan painted a set of scrolls titled How to Work Better Together which include 10 pieces of advice that do exactly what the title infers. The scrolls were conceived as an elaboration of the well-known artwork How to Work Better by Peter Fischli and David Weiss, a collaborative duo from the mid-to-late 20th century. How to Work Better Together includes deceptively simple guidelines that Eridan have learned and utilized in their practice over the past two years of working together. Below are installation views and the plain text of the works in Japanese and English.